These tasty dumplings are delicious on their own or in a soup. Combine fish sauce, coconut aminos, ginger, garlic and cabbage in Nutribullet or food processor. Pulse until ingredients to form a paste. If it is too dry to blend-add chicken broth. 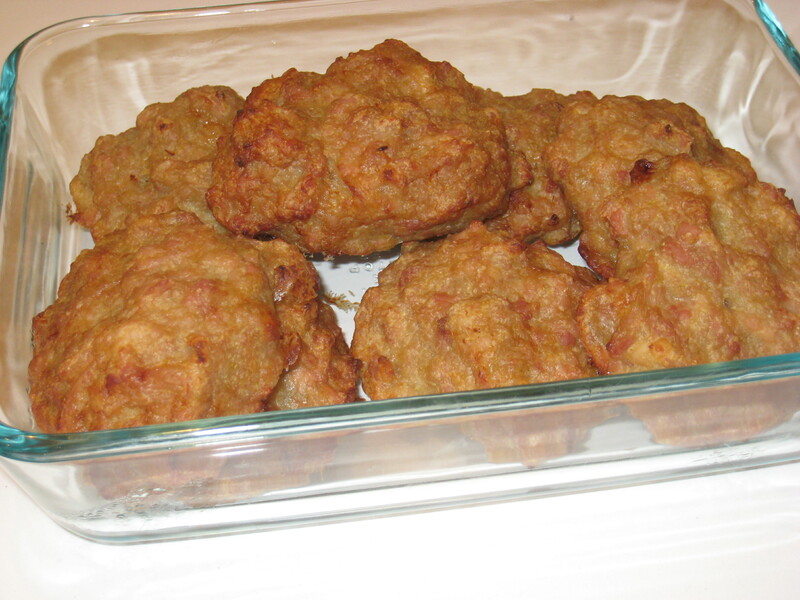 Pour mixture over ground chicken and add arrowroot powder and mix. It will be very sticky but if its too sticky add more arrowroot. Tablespoon portions onto baking sheet. 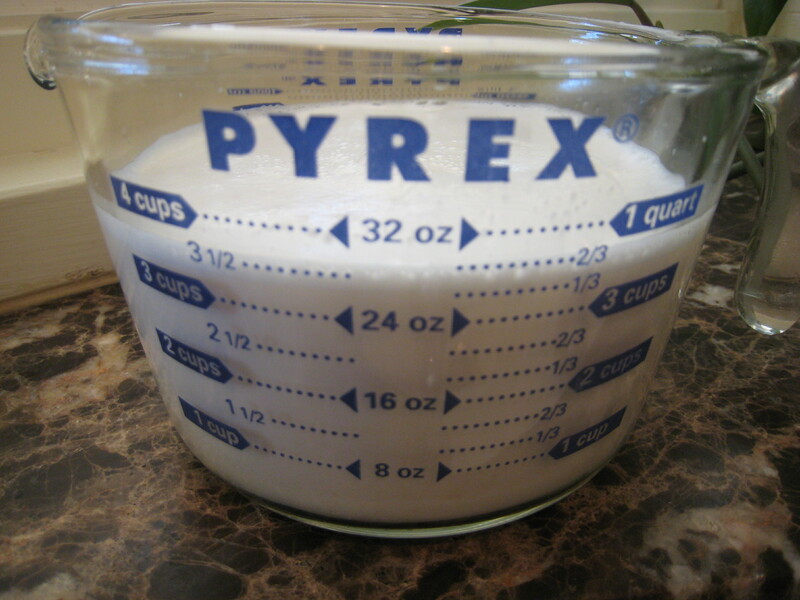 Bake until done–check after 15-20 minutes. When the weather heats up I find myself craving frozen yogurt (or fro-yo as my sister called it in the 80’s and probably still does). I don’t do well with the sugar not to mention all the preservatives they put in there. Even almond milk ice cream is loaded with additives that give me a headache. Well here is an all natural alternative: this is fruit only ice cream. And it actually tastes like ice cream–or close enough! 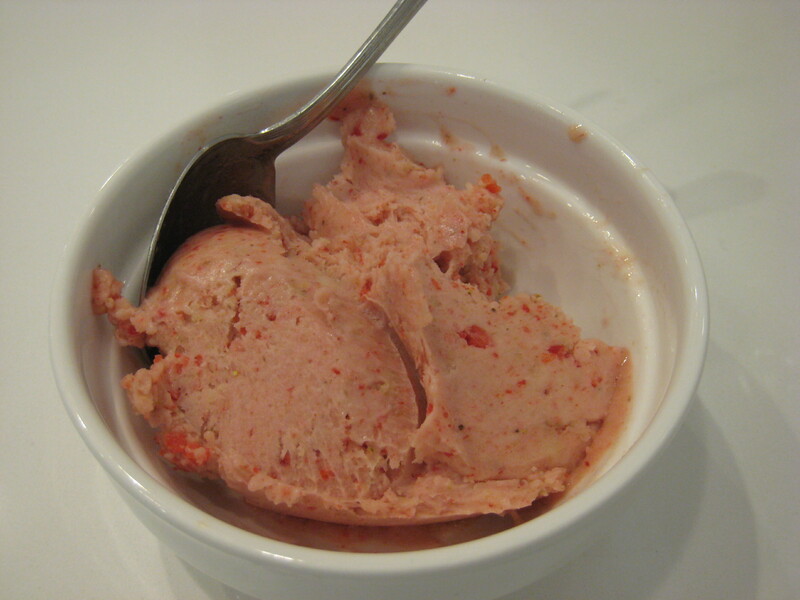 To make this recipe you must use a food processor–a blender or vitamix will not work. The night before break up bananas into chunks and freeze. Make sure they are are ripe with at least a few brown spots. I used strawberries in this recipe–but we are going to try other flavor combinations such as mint/chocolate chip and cherry/rosewater. These delicious, easy to make mug muffins or (“mug-fins” as we have been calling them) have been a huge hit at my house since I created this recipe. My daughter wanted to start a “mug-fin” club right after having one and my husband (man of few words) reported that they were good and “tasted like a muffin”. Success! My daughter loves them with chocolate chips (I used Enjoy Life which are dairy and soy free). I like a “mug-fin” with blueberries and walnuts. 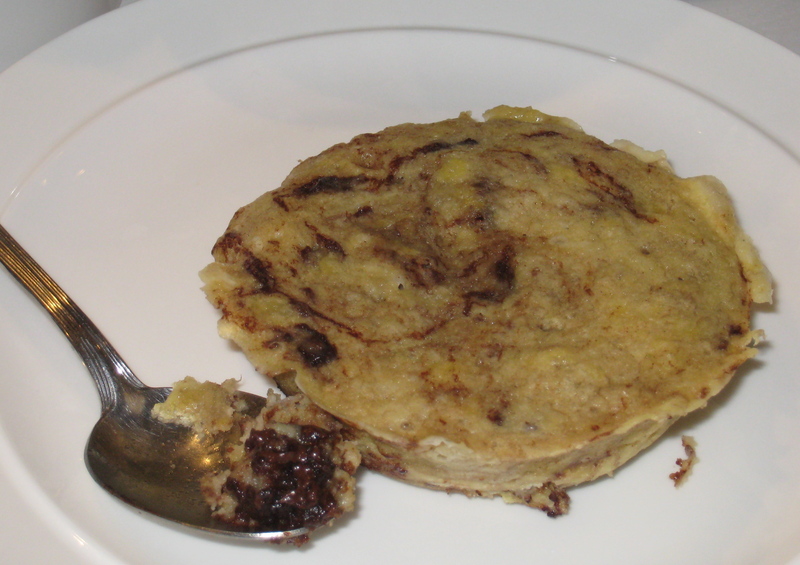 They can also be made with coconut flour–just use two tablespoons instead of three. 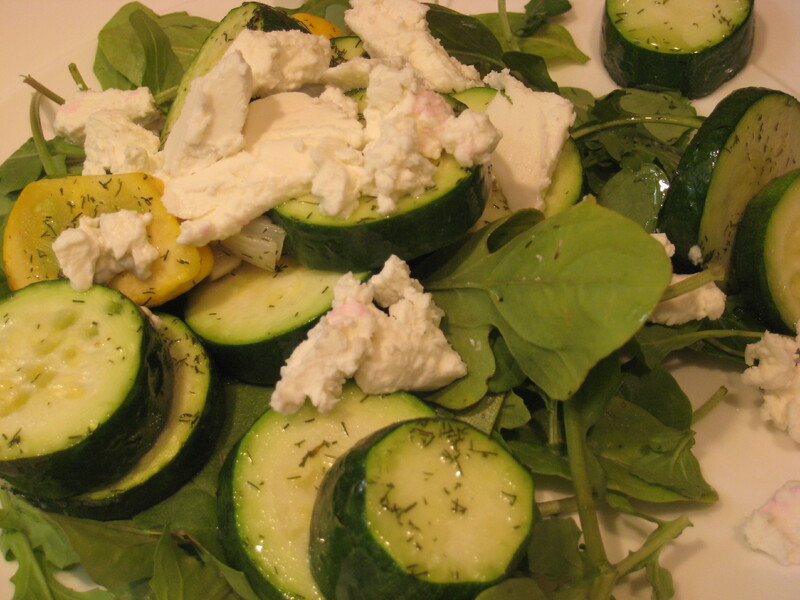 Enjoy this simple main course salad inspired by my farm box! 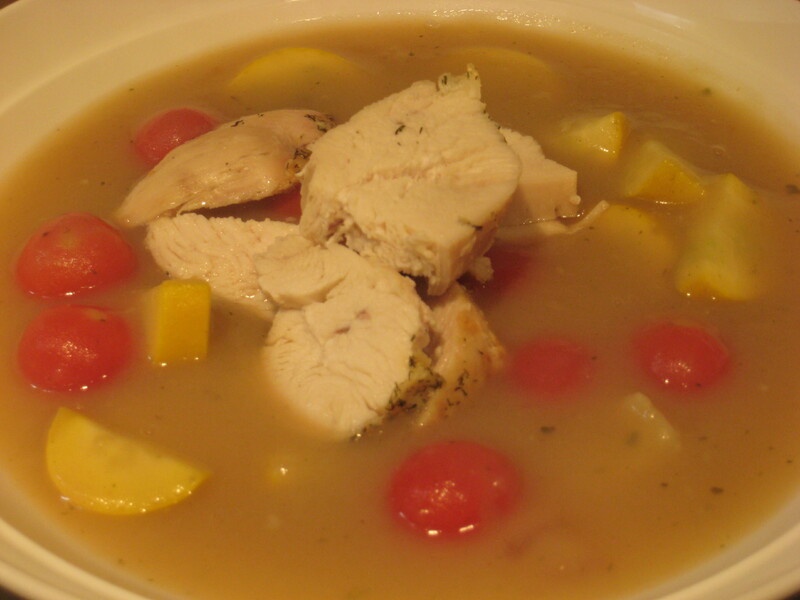 This healthy stew is full of flavor and very filling. I made it thinking of a hot breakfast but it would be great for any meal. 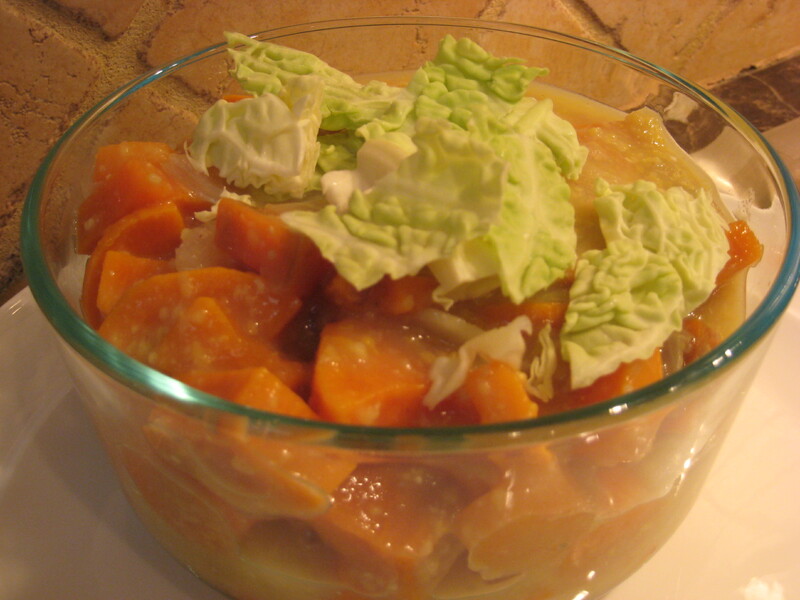 The humble star of this stew is the highly medicinal burdock root. 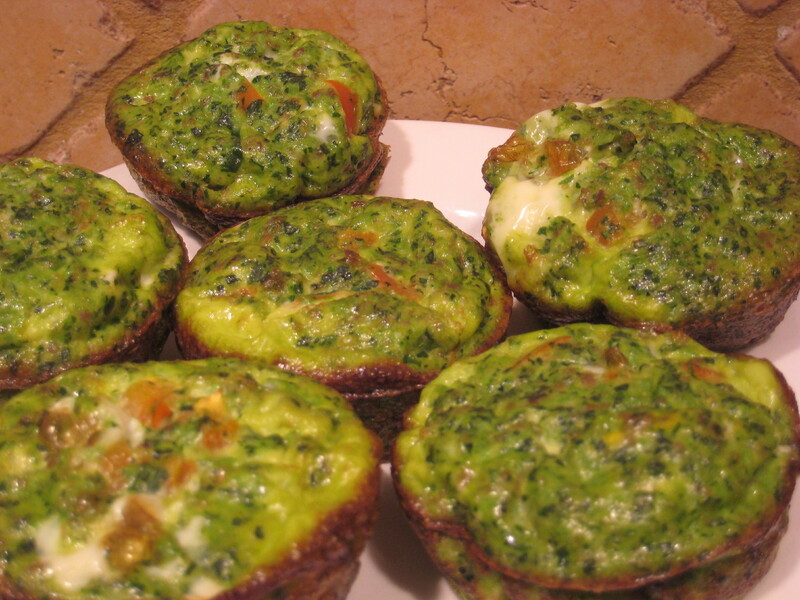 It is very mild in flavor and full of medicinal benefits. Combine all ingredients except cabbage and simmer over low heat for 30-45 minutes, until veggies are cooked and stew is desired thickness. 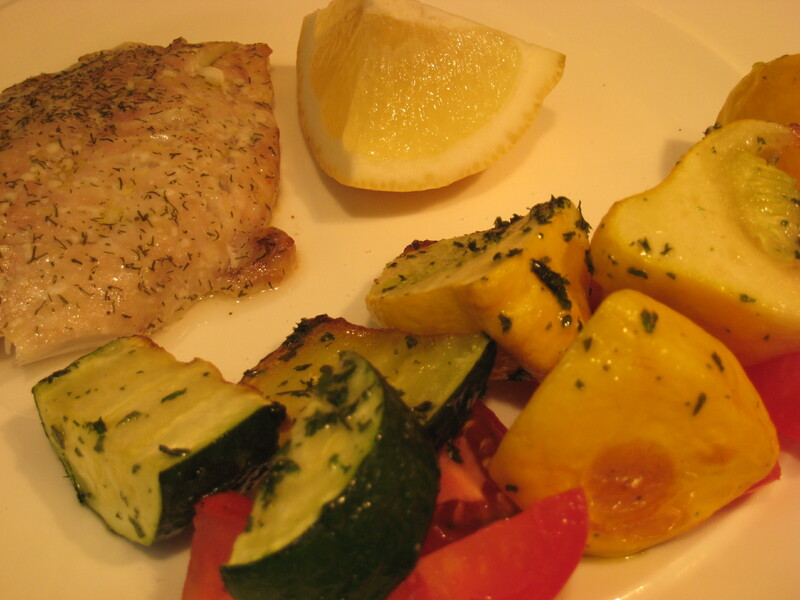 Remove lemon slice. Top with shredded cabbage and serve. 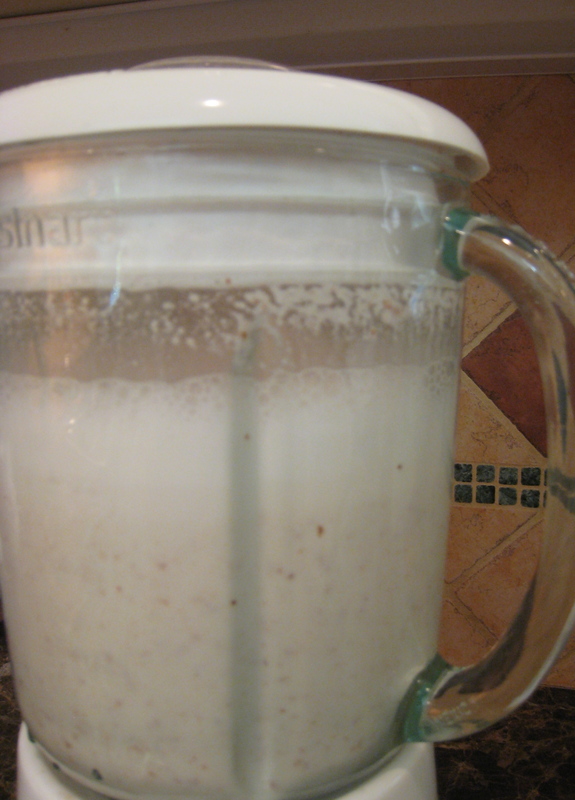 I decided to start making my own almond milk to avoid the additives in the store bought but after tasting my homemade almond milk I would make it for the flavor alone. It is light, fluffy, creamy and just scrumptious. Good enough to be desert! 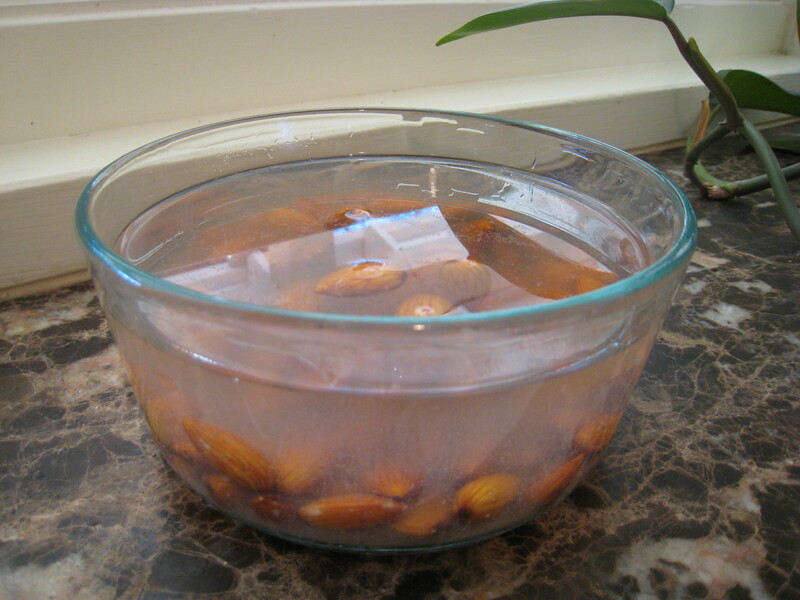 Soak almonds at least overnight in water in the refrigerator. 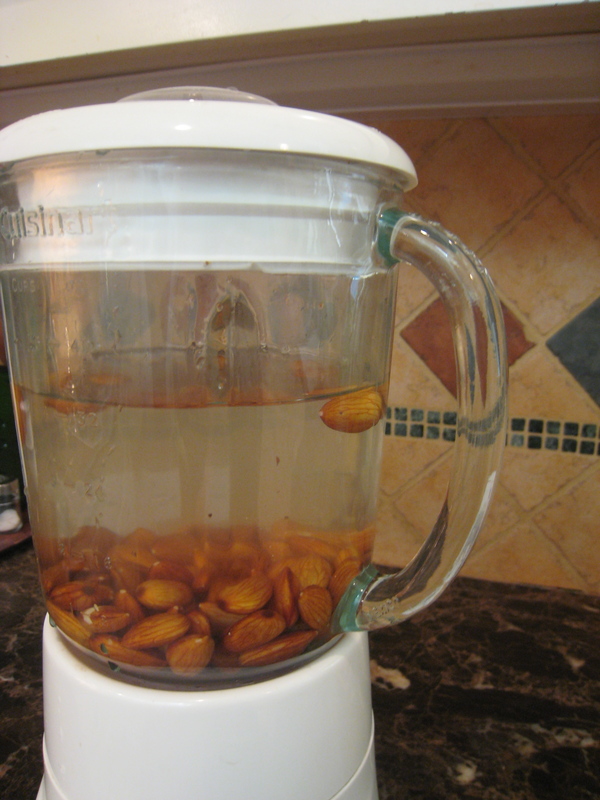 Rinse and put in blender with four cups fresh water. Blend for one minute –add cinnamon and blend for another minute. I got a jelly strainer bag from the hardware store and secured it over the top of the blender before carefully pouring into a bowl. I then squeezed out all the liquid. I plan on using the excess nut meat in a recipe. 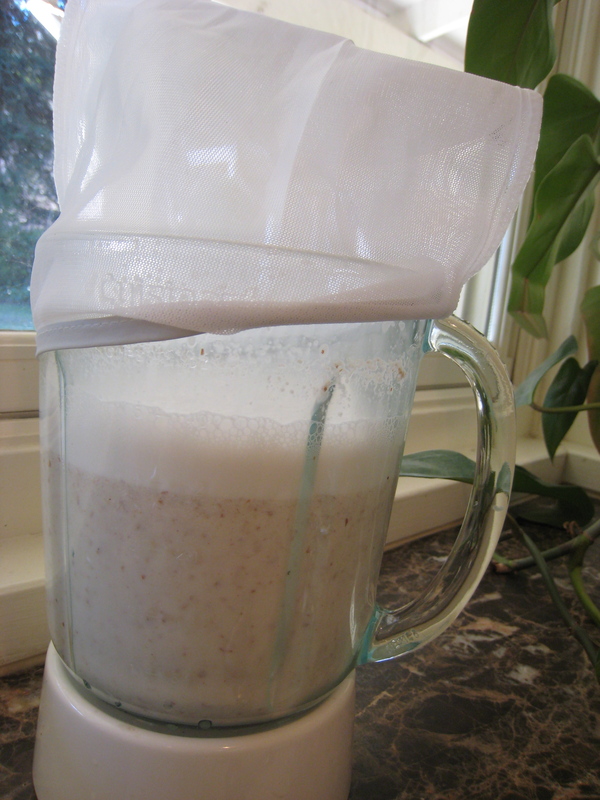 You can also put the contents of the blender through a cheesecloth or buy something called a “nut bag” for this purpose. 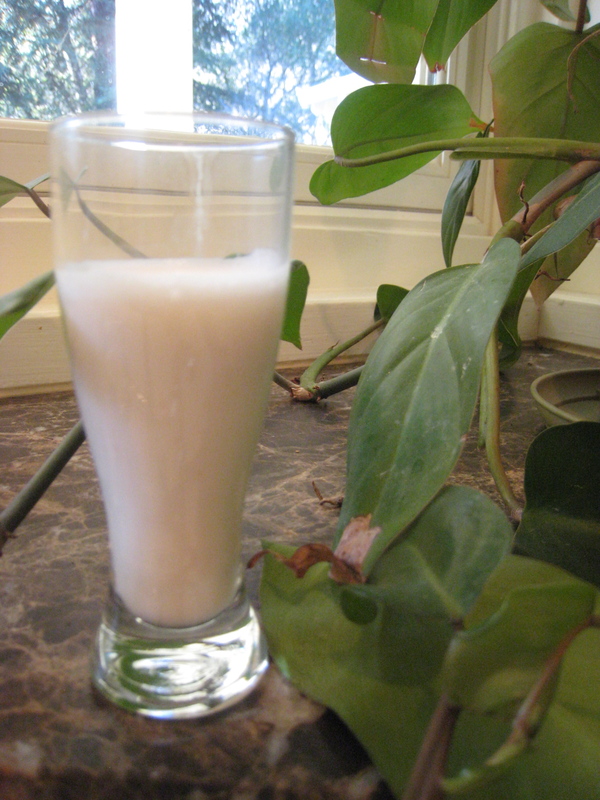 I came out with four cups of heavenly almond milk-the same amount as a 32 ounce store bought carton. These yummy little muffins are loaded with protein, greens, and Vitamin C. They reheat nicely–just put them in the microwave for one minute for a quick and satisfying breakfast.